Friendly staff, clean, efficient office with modern equipment. Dr. Chung was friendly, personable, and informative. How many people say they look forward to going to the dentist? My guess is most of Dr. Chung’s patients sayit all the time. How many people say they look forward to going to the dentist? My guess is most of Dr. Chung’s patients say it all the time. Dr. Christine Chung earned her undergraduate and dental degree at the University of Pittsburgh through a 7 year accelerated program. Annually attending continuing education courses enables Dr. Chung to stay at the forefront of her career so that she can provide optimal family and cosmetic dental care to her patients. As a dentist, Dr. Chung highly values her patients’ needs and concerns, and understands the importance of a strong and trustworthy dentist-patient relationship. She is looking forward to making you feel comfortable, while taking care of your dental needs in a gentle and conservative manner. Her passion for dentistry and genuine care for patients motivate her to perform the highest standard and quality of dental care for you and your family. She sincerely loves creating lasting smiles and increasing self-confidence in her patients. Dr. Chung’s patients have described her as friendly, compassionate, easily approachable, and always willing to go the extra mile, whether for convenience, procedures, or thoroughly explaining the why and how during treatment planning. When she isn’t at the office making beautiful smiles, she enjoys spending time with her family and friends, travelling, and good food. Come see your local dentist in Jersey City! AMAZING ! BEST Dentist I have ever been to. Truly amazing. They were amazing. Super sweet, and made me feel very relaxed. Quick and wonderful appointment. Everyone is so warm and welcoming and the office is beautiful. I was seen right after updating my info, and had x-rays taken, then my exam/probings were completed followed by a very thorough cleaning. Dr Chunghas amazing chair-side manner and is a wonderful dentist. I very strongly recommended her office. It was a great experience. Clean, updated office. Great personnel. Very professional dentist. My boyfriend recommended me this office. And she became my be dentist. My appointment with Dr. Chung was the best dental cleaning I've ever experienced! The office was extremely clean and all the equipment in the operatory room appeared to be brand new. Dr. Chung did an excellent job informing me of everystep of the cleaning and my filling - no pain! I will definitely be coming back. Dare I say this was my BEST TETH CLEANING appointment ever! Dr. Christine and her staff were awesome, patient, and communicative at all stages of my visit, and routinely checked in with me about my comfort. My room was equipped witha flat screen, and "Friends" was on during my visit. Comfy touch! The cleaning and X-Ray process was painless and professional. The office itself was clean, bright, and inviting with contemporary decor. The doctor clearly explained next steps and observations, and her front desk staff explained my bill and future treatment s in detail and outlined my out-of-pocket expenses. Great experience, from start to finish! Excellent for a new patient visit. Very pleased. The work itself is also very good. I am extremely happy with my cleaning, would definitely recommend !!! Clean, professional, friendly office! I saw Dr. Chung for a dental cleaning today. The office is spotless and the whole process was seamless. They noticed there was an issue with my insurance prior to my appointment and reached out to my insurance to resolve it.Christine is very professional, provides cleanings quickly and efficiently, and made appropriate referrals without being pushy. I would highly recommend her for your dental needs! Dr. Christine Chung & Erin are a great team. I referred both my mother and sister to Dr. Chung and they loved it! Erin was extremely gentle and efficient in my dental cleaning, that I barely realized it was over already.Dr. 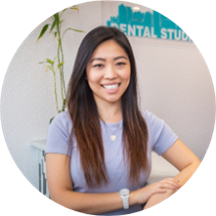 Chung and her team will turn your dental cleaning appointment into an experience! Dr. Chung, hygenist Erin, and Dr. Chung's husband all did a stellar job taking me in as a new patient. I sincerely appreciate the feedback and the thorough examination. Very efficient and painless. Dr. Chung is fantastic! She is super friendly, down-to-earth, and really cares about your dental care. She explains everything she will doing and does many of the procedures herself (which I really appreciate). If you are looking for a dentist, I would highly recommend her! She is very nice. She was very gentle with your teeth and gums. I have very sensitive gums so I really appreciate it that she's not very harsh. And I brought my son with me during my visit. She was verynice to my nice. Actually, the entire staff was very nice. professional and pleasant. thank you! I love coming to here which is surprising bc nobody likes to visit the dentist - everyone here is super friendly and caring. They definitely make you feel welcome and appreciated here. Also, I like that they offer a lot ofdifferent flavours of toothpaste when you get a cleaning. Dr. Chung is wonderful! The office itself is bright and very clean. The receptionist is very warm, welcoming and efficient. My cleaning was thorough and I appreciated how good the experience was! I was taken back at my exact appointment time- which I find rare! Was talked through everything during the cleaning along with a choice of toothpaste flavor for cleaning :) Tv in room to watch if you wanted. Couldn’t have asked for better appointment. Today was my third time visiting Dr. Chung's office, the second time for a routine cleaning. With as many times as I've had to be in a dentist's chair in my life (a LOT), you'd think that I'd get over thefear of going to the dentist. I haven't, but now that I feel like I've found my go-to place for dental care, the pre-visit anxiety and dread is almost non-existent in comparison to all the past dentists I've had. Each time I've gone to the Dental Studio, the staff was warm, friendly, and professional. Dr. Chung is really pleasant and approachable - a very welcome change from the dentists I've had in the past! The studio itself is tidy, clean, and comfortable. Since I can't get away with being casual about my dental care, I'm relieved to have found Dr. Chung and her staff. Zocdoc is how I found them in the first place, so I just want to add to the chorus of super pleased clients here and say that the five stars are absolutely accurate and well-deserved! I always hate going to the dentist because of the pain and lack of bedside manner I’ve had at other places. This was by far my most comfortable experience. I've only had check ups and cleaning here but everything went extremely well. Friendly staff, super new equipment, clean office, no complaints. Really great experience straight away. The dental hygienist was great, the doctor was great, the technology was great, the appointment setting was great, the insurance was great, great. I just had an appointment with Dr. Chung. My hygenist was Erin and the receptionist Laura were very nice and knowledgable! I have extremly sensitive front teeth, and Erin made sure to listen to my concerns and was very nice. Shedid the cleaning by hand whereever she could to cause least discomfort. She talked me through it and answered all my questions. She even flossed my teeth at the end! I met with the Doctor after my cleaning was complete who reviewed the work and since i need wisdom tooth extraction, she gave me recommendations. I also booked my next appointment right after. Laura gave me a full breakdown of the estimated costs and agreed to email me a copy of my x-rays. Definitely my go to dentist in the area! Dr. Chung was super helpful and very informative about my visit. I was able to ask her any and all questions regarding my previous history and prior recommendations that I had received versus what she thought I should do. She mademe feel more at ease and didn't try to push expensive and unnecessary treatments on me, but provided information when I asked. I highly recommend to anyone in this area as her office is super convenient, clean and the staff are super friendly. She covers most insurances and I was able to make my 6 month appointment no problem and didn't pay a thing. I was immediately welcomed as soon as I walked in the office! I would definitely recommend this office to anyone looking for a friendly staff, clean facility, and overall good care. Great visit. Was seen right away. Christine is very gentle and easy to talk to. Would recommend if you're looking for a good Jersey City dentist. Knowledgeable and seemed nice. However, she seemed to want to upsell deep cleaning without addressing other issues and questions as well as I expected. Dr. Chung made me feel very comfortable as she was the one to actually do my cleaning, which was awesome! She was very informative and explained what she was doing every step of the way. She also was patient with mewhen answering all my questions afterwards. Dr. Chung has a very nice office with state-of-the-art equipment and a great support staff. My visit was early on a Saturday and I really liked that I was able to be in and out since they really kept to the appointment time. The office itself seems really well run. The receptionist is friendly and helpful I appreciated the ease of filling out forms (electronically) and the new tech that Dr. Chung is using - I mean I def learned far more about myteeth than I have ever had at any dentist. Dr. Chung made me feel comfortable during the entire visit. She explained what she was doing during the examination and checked in with me during the process to let her know if I am experiencing any pain or discomfort. Dr. Christine Chung and her entire staff were an absolute pleasure! They are all so friendly and told me every step that they were going to do before they actually did it. They have created an environment in which it iseasy for patients to ask questions and get honest advice. One of the highlights was that they have The show friends playing on every TV. Excellent service! Dr. Chung was very professional yet personable and friendly. Even though it was my first visit, Dr. Chung made me feel right at home as if she's been my dentist forever. She was great with my 7 yr old and answered every question. Excellent dentist and staff too! Dr. Chung is now my family dentist. She was thorough, gentle and very knowledgeable. I felt very comfortable getting a check up. I highly recommend her! Really professional bedside manner from both her staff and her! They made me feel really comfortable and were very timely and effective with everything. Will definitely be going back to her. I have found a gem. Dr. Chung is all anyone could want in a Dentist. Really great experience all around. This was probably the best experience I've ever had with a dentist. The entire staff was incredibly efficient, helpful and friendly - communication and explanation of insurance benefits/costs were a breeze - and the doctor's bedside manner was amazing. I HIGHLY, HIGHLY recommend. Everyone was very nice and professional. It was a great experience. The office is lovely and modern. Highly recommend. I came to see Dr. Chung for a regular dental cleaning and check-up after having a short gap in dental care. Her staff are friendly and capable, and they play Friends on the TVs in the background, which is helpfully distracting.She ended up filling two cavities, and did a great job---hardly hurt at all, and I can't even tell they're there now. Dr. Chung was amazing and kind. I'm not too fond of going to the dentist and I hadn't been in a few years. Dr. Chung made everything painless and did such a thorough job of cleaning my teeth. Virtually no wait, very modern space, and Christine was great! Explained everything she was doing and was very professional. Highly recommend!